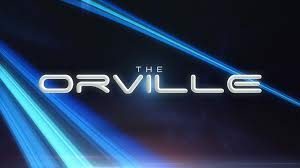 Fox Networks and La-La Land Records have announced the release of The Orville Season 1 Soundtrack. The series has been a hit with audiences since its debut and this will mark the first time that the soundtrack is getting its own release. Academy Award-nominated and Emmy Award-winning composers Bruce Broughton(Lost in Space, Silverado), Joel McNeely (Air Force One, A Million Ways to Die in The West), John Debney (The Jungle Book, The Greatest Showman) and Andrew Cottee (Robot Overlords) used a 75-piece orchestra to create a classic and beautiful score that will be released on a two-disc CD set on Tuesday, Jan. 22, followed by a digital download from Fox Music on Friday, Jan. 25.